Didier Champion – Page 3 – My thougts about Rwanda and Africa today and tomorrow. After postponing the trip for 3-times, I finally went to visit Luxembourg city, the capital city of Luxembourg. This is a small country situated between France, Belgium, and Germany. It has about 600,000 people and its surface area is approximately 2, 600 square miles. After driving for 2-hours to get there, my plans were to sight-see the city, hang out and relax. To my surprise, I found out that there was a marathon going on upon reaching there. The whole city seemed to be partying and having a good memorial saturday weekend. I did some explorations and visited a few main sites I wanted to check out. I love small cities and Luxembourg made my top list for sure. It is very beautiful topographically and lots of history to explore especially around the summer. What an amazing city, very French and English friendly too. The country is visibly very wealthy. Like any finance nerd with my interests in business and finance, I could not help but learn about how such a small country is able to generate large amounts of money. Luxembourg is the 2nd wealthiest country on Earth when looking at GDP per capita ( the average income per year). After Qatar, Luxembourg comes 2nd with an average GDP per capita of a hundred and two thousand dollars ($ 102, 000.00). However, unlike Qatar, this country is landlocked and does not have any mineral resources. You have got to admire the people of Luxembourg for their innovation and creativity in the service and financial sectors. Their economy depends on these two sectors heavily. They have attracted remarkable foreign direct investments. Big international banks, and hotels along with the tourism industry have made this small country what is today. 86% of the country’s economy comes from the financial and services sector. The European Investment Bank, which is the financial institution of the European Union is headquartered in the heart of the city. The country is one of the international banking centers of the world. After the United States, Luxembourg has the 2nd largest investment fund, with $ 4 Trillion (with T) worth of investment assets. Remember, that is $ 4, 000, 000, 000, 000.00 (serious amount of money!). Luxembourg investment portfolio is rated triple AAA by all the rating agencies (Standard Poor, Fitch, and Moody). As a future investment banker and a venture capitalist, working in this country would offer some good skills in business and finance. Their financial sector is rock-solid and they seem to know what they are doing for sure. What am I waiting for? Luxembourg offers free primary and secondary education for all of its citizens. The university education is also subsidized at the University of Luxembourg, the only public school in the country. Students pay about 400 euros in first two semesters and 2, 200.00 for other semesters. All undergraduate students are required to do one semester abroad upon graduating with their bachelor’s degrees. Bilingual education in French/English & Dutch/German are also offered. As many European countries, Luxembourg offers “free” healthcare to all citizens through a single payer healthcare system. They have one of the best healthcare systems in Europe. Apparently, all citizens have the right to choose their doctor, specialist, and hospital. This sounds too good to be true until you notice that they have one of the highest life expectancies in the world too: 85 years old. Their healthcare system must be legit and solid. As you can imagine, they have a big tax rate. Personal income tax is about 42% on average. This sounds very high of course, but if your education and healthcare costs are covered, what else are you looking for? It sounds too high for me, but it works for them. Their social security for retirees is quite generous and with 85 years of life expectancy, they should be fine. Corporate Tax is around 20%. Very generous tax rate probably to encourage big banks to set up their headquarters in the city and attract foreign direct investments. Thirty minutes away from the city, there is a National Museum of Military History in Diekirch. Due to its geographical location between France and Germany, this country was the center of some of the most life-threatening battles in world war II: notably the battle of the Bulge in Winter of 1944-1945. Lots of American lives lost in this part of the world, reminding us of a very horrific past. There is also an American Cemetery and Memorial, 3-km away from the city where lots of World War II American troops are buried. Some roads, in the heart of the city, are even named after US presidents and world War II American generals for their help to restore the city in difficult times. Luxembourg was invaded by the Germans in 1940 and was forcibly made part of Germany by 1942. However, in September of 1944, part of Luxembourg was restored and by December 1945, the whole Luxembourg was restored and had become an independent state again. Luxembourg is a member of NATO and is part of the Benelux countries along with Belgium, and Netherlands. It was fun visiting and learning about Luxembourg. Lots of things to do around the summer if you are an outdoor person. Lots of nice restaurants downtown. By far, the best African restaurant ( outside of Africa) I have been to. I ended up eating too much that the waitress asked me to finish what I had first before ordering more. I will definitely come back. By the time I finished, I was ready for a nap. Until then, stay on top your ( personal ) finances. Sam Walton is considered as one of the most influential businessmen in the American History. His business philosophy (from the beginning) was built on selling things cheaper, which changed the way that people shop not just in the Unites States, but also around the world. Born from a poor family, Walton learned from his father how to work hard and make money even in difficult times. Like his father, Walton’s secret was to make a small profit for every transaction that he makes. This biography describes how Sam Walton started from being a small shop owner to a billionaire retail mogul. Figure 1. What an amazing entrepreneur to learn from: From a small shop owner to a large company owner. In his childhood, we developed his leadership skills and decided that he was not going to work for anybody. In high school, he played as an outstanding quarterback and he was the vice-president of his junior class. At home, he would help his family in the business and he would sell milk after football practice. After graduating from college with an Economics degree, he worked as a retailer at JC Penny store where he earned only 75-dollars a month. After marrying Helen Walton in 1943, he was called to serve in the army in World War II. When the war ended, he came back at home where he had to figure out how to raise his family. Walton started his business with 25, 000 dollars (20,000 dollars was a loan from his father-in-law and 5,000 dollars was his own). He started his own store, “$5-$10)”, in Bentonville and after 3 years, he had already paid off his loan. The secret of his business was to buy goods cheaply and sell them at cheaper prices compared to other stores. His business started to grow quickly and took out a few bank loans to expand his business. In 1962, he started his Wal-Mart store in Bentonville, Arkansas and in only 8 years, he had 32 stores in Arkansas. One thing that helped Walton’s business to grow faster was that he sells goods cheaply and he was very good at competing with his main competitors. Mr. Walton also knew how to build a good reputation of his store because he was involved in different charity work to help the poor get health care and education around different communities that his stores served. He set up a full-scholarship to 180 American Indian students each year and he was involved in various charity programs to help poor people across Arkansas. In 1970, Walton was heavily in debt, so Walmart went public and offered its first IPO, putting his business on the market to revitalize his company. Many of the shares were bought by his Wal-Mart employees. The stock market boosted his revenues and finances so much that 5 years later; Walmart had expanded to 120-stores in Arkansas, Missouri, and Kansas. Many small businesses started to close their doors since Wal-Mart was a big competitor and they started to complain about Wal-Mart lower wages to employees, but Walton renewed his company wage plan, which helped Wal-Mart to be successful through the courage and hard work of all its employees. His employees describe Walton as a generous, inspiring, but also a very demanding man. In 1982, Walton started to be involved in politico-economics issues such as buy America, which helped American businesses to compete with international businesses on the market. Walton was recognized by President H.W. Bush for his outstanding work and won the “Medal of Freedom Award”. Walton’s success is not just an amazing story, but a good example of what entrepreneurship is all about. A good entrepreneur must be both hard working and ambitious. Entrepreneurs have to make sure that their businesses satisfy people’s needs and their business needs to care for people’s concerns through social responsibility. In the end, his hard work paid off big time. He left his family with huge sums of money and there is no doubt that his legacy will endure from generation to generation. The Walton’s family is one of the richest family in the United States and in the world, thanks to one man vision to provide for himself and his family after coming back from world war II. In 1962, Walton started with only 25,000 dollars. In 1992, the total revenues were 44-billion dollars across the country with around 700-stores. Today in 2017, Walmart is worth around 230-billion dollars. His legacy will stay around for generations and by using his money as a seed, he sure ripped all the benefits for his family, investors, shareholders, and customers. If you are an entrepreneur or aspire to be one, be like Sam Walton. Figure 3. The company motto. David Rubenstein: ( Net-worth: $ 2.5 Billion ), Co-CEO and Co-founder at Carlyle Group. Carl Icahn: ( Net Worth: $ 15.1 Billion), CEO of Icahn Capital Management. Henry Kravis: ( Net Worth: $ 5.0 Billion), CEO of KKR &co ( Kohlberg Kravis & Roberts). Stephen Schwarzman: ( Net Worth: $ 12.0 Billion), CEO and chairman of Blackstone Group. Michael Bloomberg: ( Net worth: $ 48.1 Billion ), CEO at Bloomberg. Leon Black: ( Net worth: $ 5.9 Billion ), CEO at Apollo Global Management. Aliko Dangote: ( Net Worth: $ 12.0 Billion), Dangote Group. Business Studies and Administration, Al-Azhar University ( Egypt). African Billionaires: ( Lots of Nigerians, South Africans, Egyptians, a few Algerians & Moroccans, an Angolan and a Tanzanian). 25-Africans are billionaires, according to Forbes. Education: Bachelors in International Business and Finance, Georgetown University. Robert Smith (Chairman, and CEO of Vista Equity Partners): 2nd richest black American, after Oprah. Net Worth of $3.0 Billion and about $27.0 Billion under management. Develop your mind; 2. Trust yourself; 3. Know your self-worth; 4. Act on your intentions; 5. Dream Big; 6. Be committed to your career; 7. Find your drive; 8. Enjoying figuring things out; 9. Perfect your craft; 10. Develop grit. Kase Lawal ( African-Billionaire and an international businessman). net worth: $ 3.0 Billion. Howard Marks ( Chairman and CEO of Oaktree Capital Management ). Net worth: $ 2.0 Billion. 40-years of experience in investing. Bachelors of Arts in Finance from Wharton School of Business, and Masters in Accounting from the University of Chicago. Didier Champion: ( Net worth: Soon to be), Unknown as of 26 April 2017. As I read about these amazing businessmen who have accumulated lots of wealth during their careers, I am amazed at how successful you can be with your hard-work and determination. It is true that the majority of these Forbes 400 started in the 60s, 70s, and 80s. However, they all worked hard and got very fortunate in their respective careers as they progressed. Surprisingly, they share lots of similarities with being successful in their careers. Lots of these specialize in leveraged buyouts and private equity. Education: All of them were educated in their fields. They knew a lot about their ventures before they invested in them through constant learning and past employments. Diligent and their niche: All of them described that they did not do what everybody was doing. They looked out for what nobody was doing at the time and got really good settling in businesses where they would have a competitive advantage. Love their work/Enthusiasm: They love what they are and were doing that they were willing to put in lots of more work to be successful. Being successful takes time: Almost all of them have been in the business for 30-40 years. It takes a good amount of time to make money especially these amount of money. Smart and intelligent people (not necessary genius, but those who know what they are actually doing). People with the highest ethical standards: ( Those with integrity, courage, and commitment): The three things he lives by. very important. Diligent and are NOT afraid to take tough questions. You can never use excuses because at the end of the day you have to be accountable for your actions. Always believe in your goals and stick with them: If you cannot trust yourself, who else will. Whatever you do, give it your best effort. What is a leveraged-buyout? Every CEO kept mentioning it, but I have no idea what it means. Study and learn about it. I have a feeling that this is really what I want to do with my life in the long term. It would be fun to be a venture capitalist and focus on developing countries on the African Continent. Is there a difference between a private equity ( vs venture capital) firm. If you want to be rich, business is the way to go. You can never be rich while working for someone else. Start working on the roadmap of my career. May-2017 to June-2020: Learn as much you can about business: finance, venture capitalist, private equity firms. June-2019 to June-2020: Choose an MBA or business-related programs in the States. Finish business school by May 2022 and work for others from 2022 to 2030 for 8-years. At 40-years, start a private ( venture capital) firm in emerging markets ( preferably on the African Continent). Invest in the ( African ) Energy Sector. In the future, it is going to be interesting to see the technological impacts on education, health care, financial services, and Law & Government. The impact of companies such as Uber vs Lyft, and Airbnb. African youngest and promising entrepreneurs: ( By Forbes Africa). Raising money on the African Continent: ( Linkedin). Successful people in African Business: ( By Forbes Africa). African top 40 richest people ( As of 2011, Forbes Africa). More updated lists of Billionaires in Africa. If you want to become rich, you have to go into business. Check out top 50 richest people on the continent. They are all in business. You never going to be RICH working for someone else. NEVER. The current crisis that Zimbabwe is experiencing has devastated the livelihoods of its urban population and created extreme poverty in its towns. From the 1980s, housing policies had made it extremely difficult and expensive for low-income residents to comply with the nation’s legal housing requirements. However, during the 1990s, these policies were tolerated as poverty increased and this created a lot of shanty towns and many cases of what the Zimbabwe government calls “informal employment”. In 2005, the government implemented “Operation Murambatsvina (‘Restoring Order ’)” in order to eradicate “illegal” housing and informal jobs that negatively affected many poor urban residents and the country in general. This resulted in a crisis where nearly 700, 000 people lost the basis of their livelihood: either their jobs, homes, or both. According to the state, this drastic policy was necessary to eradicate illegal housing and informal employment, but given the economic stability of a developing country like Zimbabwe, there is no doubt that there were other reasons behind some economic and political. In this research paper, I will present the influence of the authoritarian regime in worsening the living standards of the urban areas by exploring the causes and effects of the land reform policy that lead to the Zimbabwe crisis in 2005. By focusing on showing how this policy has affected the economy of Zimbabwe and how unjust this policy was implemented and executed in the situation of Zimbabwe, I discuss how lack of collaboration/cooperation between urban low-income people and policy makers can be a dangerous act especially when enforcing policies of planning in urban areas. Indeed, I will suggest a comparative approach of confronting this issue using the example of Rwanda where the similar policy seems to have worked. Amartya Sen is an economist who won the Nobel Prize in 1998 for his contributions to welfare economics, social choice theory, and for his interest in the problems of society’s poorest members. In his freedom and development theory, he proposes that the only way to attain freedom is through development. His theory states that the purpose of development should be to sustain growth. According to Sen, in order to achieve of development; there must be the removal of the following: poverty, tyranny, and lack of economic opportunities, social deprivation, neglect of public services, and the machinery of repression. Indeed, he argues that inequality is basis of famines and other severe crises. In his paper, “The Zimbabwean Crisis and the Challenges for the Left”, published in the Journal of Southern African studies, Brian Raftopoulos analyzed the Zimbabwean crisis by setting up and combining historical aspects of land distribution from the 1980’s from various authors to show how the authoritarian regime of Robert Mugabe, the president of Zimbabwe, has played a major role in implementing policies that ravaged the economic growth of Zimbabwe since its independence. He attributed the crisis as a result of the lack of democratic and a collection of human rights violations of the regime and dictatorship towards its own people (Raftopoulos, 208). Raftopoulos points out that because of its influence of the ruling party in the liberation struggle that lead to the independence of Zimbabwe in the 1980’s, ZANU PF, has used that pride to represent itself as the only protector of “national interest, patriotism, and authenticity” (212). This has resulted in a political coalition with other opposition parties such as MDC, regarded as a foreign white creation due to its critics against biased and unprepared policies implemented by Mugabe’s regime. In most cases, these policies were established to punish areas where MDC had a lot of supporters. However, most importantly, a set of these policies have negatively affected the economy of Zimbabwe at the point where unemployment rate was 80% and hyperinflation that resulted in the abandonment of the Zimbabwean currency in 2009 (217). The outcomes of “the operation Murambtsina” were so catastrophic that the world had difficulty interpreting its negative impacts on the population. By eliminating illegal housing and informal jobs in the capital of the country, Harare, the government of Zimbabwe thought that it would restore the order in their city. However, this policy worsened the quality of life in Harare. During and after the operation, 700, 000 people lost their homes and/or the livelihood of their resources and 2.4 million people were indirectly affected (217). Moreoever, land distributions displaced approximately one million farm workers and their families (217). In 2000, a large amount of land owned by the minority of white commercial farmers was settled to approximately hundreds of thousands of black Zimbabweans who lacked experience and professionalism in farming. They started selling their farming equipment since most of them were subsistence farmers and the agricultural production reduced significantly (Potts, 214). Therefore, these farmers could not maintain the intensive and industrialized farming of the white owners. The previously large exports of industrial crops such as tobacco, cotton, soya and horticultural production consequently reduced dramatically and the income derived from these sources couldn’t significantly contribute to the national economy anymore (216). Indeed, this leads to a total loss of about four hundred thousand jobs of workers who worked in farms (217). As a result, all these factors resulted into a high depression. According to the World Bank and IMF, from 2000 to 2007, the national economy of Zimbabwe contracted by as much as 40% and inflation was extremely high. There were persistent shortages of hard and fiat currency, fuel, medicine, and food. Indeed, the GDP per capita dropped by 40%, agricultural output dropped by 51% and industrial production dropped by 47% (Potts, 287). In her paper, “Restoring Order, Operation Murambatsvina and the Urban Crisis in Zimbabwe”, Deborah Potts used results released by different agencies and non-governmental organizations through the ZNAC (Zimbabwe National Vulnerability Assessment Committee) and the PASS survey as well as other research centers to show ineffectiveness and the consequences of the operation and the associated injustice during its execution. Potts briefly discussed Zimbabwean economic history where she acknowledges Zimbabwe as one of the most economically stable countries in sub-Saharan Africa with only 25 to 30 % of people below the poverty line in the early 1990s. 10 to 15 % of the urban population in the HDAs was identified as poor, but they had access to potable water and electricity (Potts, 274). However, by 2003, statistics shows that 51 % of the Zimbabweans are below the poverty line and 57% of urban population in the HDAs is extremely poor without access to clean water and electricity as well as the cost of urban health and education services become extremely expensive (Potts, 274). Therefore, the government established “Operation Murambatsvina” in order to solve disorder in the cities by focusing on focusing on illegal housing, and informal jobs. Due to the injustice and unfairness of this so called, “restoring order operation”, people’s health was severely compromised. People ended up losing their shelters and jobs, which created extreme levels of poverty and lots of health issues. For example, HIV/AIDS patients were left sleeping outside or forced to move to rural areas and abandon their medicines since doctors could not followed them up (278). Instead of reestablishing the order as the government officials predicted, it created more chaos than before including, violence and extreme conditions of poverty. Statistics showed that only 20 % of those displaced had temporarily moved to rural areas and many others were living by roads or moved into churches (280). Zimbabwe is not the only country that has recently had to deal with urban land reform. In fact, many developing countries in Africa are trying to build and transform their cities into modern cities. Currently, Rwanda is also dealing with this problem, but so far the process has been excessively successful. This is because through education, the population understands why the city needs to be modernized: attracting foreign businesses and investors for the stable development of the country. Indeed, those who are misplaced by the city’s policy are expropriated and compensated fairly. While many could ask what went wrong with the land distribution in Zimbabwe, the freedom and development theory of Sen provides a perfect understanding of the Zimbabwean tragedy. According to Sen, any kind of development plan should be implemented in the way that reduces poverty by creating more economic opportunities as well as involving some kind of negotiation and collaboration with the population. However, in case of Zimbabwe, none of these methods were used during the process of urban reforming. People’s homes were destroyed without fair compensation and they were forced to move into rural areas. Before the restoring order, the government knew that 85 % of city households in HDAs (High density areas) were living off of informal jobs (288). However, they blindly destroyed people’s jobs without setting up strategies to compensate their jobs. Clearly, Sen would criticize the Zimbabwean policy makers since they claimed to establish development by increasing poverty and diminishing the opportunities to the majority. Indeed, Sen would also claim that this so called order was unjust and biased because the government didn’t negotiate with its people in order to reach some kind of agreements. These assertions explain why this policy worsened the situations instead of solving problems it was supposed to encounter. Indeed, this shows how this policy was implemented with a great deal of injustice. At the beginning in the 1990s, when people were moved into towns of Harare, the capital city, the government did not stop the migration or ban the construction of illegal houses and illegal jobs, which means it wasn’t people’s fault. Therefore, during the restoring of order in 2005, people should have fairly been compensated for their property in order to avoid tragedies in the aftermaths. 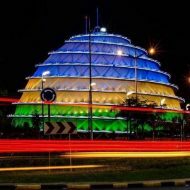 Perhaps, Zimbabwe should have adopted the method that Rwanda is currently using to organize Kigali, the capital of Rwanda into a modern technological city. From 2005, the city adopted the “Kigali master plan”, which is a planning scheme to transform Kigali into a modern technological city. This means that the city has to move people in order to make sure that all the construction follows the master plan. Unlike Zimbabwe, the process of expropriation in Rwanda is done in ways that provide fair compensation to the displaced population. In order to do make this possible, private companies buy land to the government, and then, the government negotiates with the population on the prices of their property to receive compensation according to current costs of materials and labor. In many occasions, people are given choice of where they can build their new houses compatible to their economy or they can choose other selected places as long as it matches what they can afford (Ilberg, 5). Therefore, once people are moved, they could find new places, which facilitated the expropriation into a smooth process. In this way, as the government negotiated with people and this created a level of freedom that Sen states in his theory. Indeed, because the government has managed to encourage private real estate companies to be involved in this process, the population gets a lot of benefits and this creates new economic opportunities for the population. This shows how the Rwandan government has carefully implemented this policy to organize the city and to facilitate its development. Raftopoulos and Potts did a good job at explaining and clarifying reasons for the crisis of Zimbabwe through the evidence of their work and their research on operation Murambatsvina. Their research provides us credible information because they collected data from NGO’s and agencies that researched on the land distribution issues for about 20 years. Initially, this operation established to demolish informal settlements and informal employment in cities ended up sinking Zimbabwe into an economic depression. During their research, these authors found other unfair factors that pushed the government to embark on this policy such as punishing followers of the opposition party, MDC, for voting against the ruling party, ZANU PF. Most importantly, this shows why it is important to think about the capacity of the population when implementing policies. Originally, this policy was not a bad one, but the conditions and the process in which it was executed had extremely bad consequences not only on the policy makers, and the people, but also the whole country in general. High inflation resulted into health issues, education, and the shrinking of the national economy in general. In order to deal effectively with this land reform policy and expropriation, policy makers need to establish strategies to fairly compensate those who are misplaced in order to increase opportunities and maintain development of the people. Ilberg, Antje, Technical Advisor for German Development Service (DED) at Kigali City, June 2005 – February 2008, Introduction beyond Paper Policies: Planning Practice in Kigali. The services that Google, Inc are one of the things we take for granted today. In fact, 20-years ago, you would have had to know every website you want to visit and type in exactly to access it. There is no day that passes by without using any of the google services (youtube, google maps, google search engine, and many others). As users, we get to use all these services for free, and Google makes their money from advertising services that they offer to different businesses, companies, and enterprises. Although they have received lots of backlash for tracking our online behavior and invading our privacy, I would say that it is a fair game for most users. I have used google to apply for jobs, internships that have shaped my career so far. I use it every day to search and look up everything I need whether I am visiting a new city, or looking for services I need. No doubt, without google, my life would be very different and I would be honestly screwed. In this blog, I am taking you to how Google, Inc was created by two graduate students at Stanford University. We can all learn from their entrepreneurial spirit, their inventions, and most importantly their persistence and hardwork. This video describes the starting of what is known today as Google, which is an internet search engine. The story starts with a research conducted by two P. h D students at Stanford University, Larry Page and Sergey Brin. Their research was focused on data mining, which is a process of analyzing data from a different perspective and summarizing it into useful information. At the beginning of their research, their purpose as P. h D computer scientists was to organize the world’s information and make it universally accessible and useful to the world. Therefore, they ended up building the internet search engine known as Google today. After the completion of their project, they decided to sell their project/software to other companies that existed at that time such as Yahoo and Microsoft, but it did not work because those companies responded that they were not interested and that their method of searching information on internet was good enough. So, Larry Page and Sergey Brin decided to start out their own company. The way that Google works is that they have a way of searching and downloading information from all world wide websites and sending information back to their superpower computer, which makes it available to the public. The company started growing because of its fast and easy internet search: in 1998, the company had 38-employees and was receiving 3-million queries a day, a year later; it received 16-million a day. As the company grows, it started to find other investors putting their money into the company to grow and to stay on the top of other companies such as Yahoo and Microsoft. They started signing deals in China, Japan and Europe to expand their business. In order to improve the company performance, they introduced new methods of making money such advertising and at the same time the company started hiring new P. h D students as employees: By the year 2007, the company had about 10, 000 employees and received 100-million queries a day. 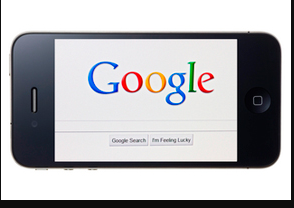 Now, one third of Google’s revenues come from advertising. In 2004, the company was brought to public (Marketing) and it receives a lot of awards such as the academy’s Golden Award. For competition issues, other companies such Yahoo and Google started buying and introducing new search engines to compete with Google, but Google stayed at the top because of their new discoveries: online advertising, other service like Google map, Google earth, and Google phone. After the company became larger, Larry Page and Sergey Brin hired a new professional CEO to manage Google. 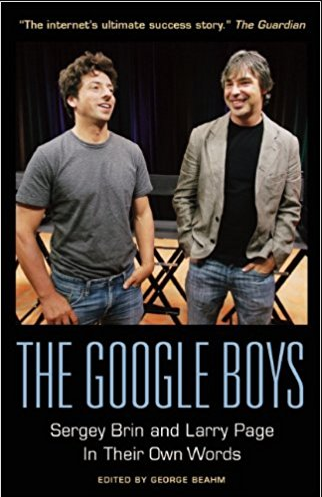 This project of these Google boys has a lot of connections with what I have personally learned in business and finance courses. For example, how Larry Page and his partner developed a research based on the public needs of accessing information easily because the search engines at that time were complicated and ineffective. After the company expanded, the Google boys started to publicize their product (Marketing) in other developing countries and started to find many investors. In addition, when other companies such as Yahoo and Microsoft noticed the progress of Google, they started developing and introducing their search engine to compete with Google (competition). In this video, I was also able to notice the role of ethics and social responsibility in business. In the interview given by Larry Page, he explained that recruited employees are those who not only are talented and intelligent, but also those who can fit the work environment of Google: independent research study and social friendship. In addition, when the company was growing, the founder of Google decided to hire a professional CEO to help manage the company’s wealth. This shows how management is a big part of business. Finally, Google is now a well-respected company because its influence on the whole planet. The company has been successful since it is making a lot of money. At the same time, it creates jobs not only to founders, but also for Americans: its shareholders, customers, and investors. Today in April 2017, Alphabet, the parent company of google in worth around 550-billion dollars, which makes it the second most valuable company in the world. It also helps the public to get easy access of information on internet thanks to two hard-working computer scientist entrepreneurs Larry Page and Sergey Brin. It is hard to think of my life without google today. All the information I need is just a “search and click away”, thanks to your genius brain of yours. I am and will be forever thankful. Liberation day is one of my favorite holidays in Rwanda. If there were only 3 holidays to celebrate in Rwanda, July 4th would definitely have to be among my top 3. The Liberation day is the day Rwanda embarked on a new journey to rebuild itself after its horrific and past history. It is the day a few visionary Rwandan leaders envisioned a new inclusive and united Rwanda, free of discrimination. It is a day Rwandans decide they had had enough and were going to build a beautiful strong and peaceful Rwanda. It is the day Rwanda started its new path founded on unity, diligence, and patriotism. Every Rwandan, no matter where they are, home and abroad, should celebrate this day and reflect on what they can do to contribute to their nation’s peace and sustainable development while remembering men and women in uniforms who fought for this freedom that you and I enjoy today as Rwandans. On this Liberation Day, we honor the courageous men and women who sacrificed their lives so that we enjoy Rwanda that we have and see today. On this day, we honor our heroes who fought to liberate our country from the oppressive government that was killing her own people, men and women, young and old, sons and daughters, poor and rich. On this Liberation Day, thank all the soldiers in the Rwandan Army, especially veterans. A design poster for the 2016 Rwandan Liberation Day displaying the Rwandan Flag and a July 4th monument at the Rwandan Parliament Gardens. A monument showing a soldier paying tribute to the fallen comrades in the Liberation Struggle. On this Liberation Day, we celebrate the end to one of the worst atrocities of the 20th century. On this day, we remember the end of 100-terrible days, that ripped our beautiful country apart, leaving hundreds of thousands of innocent lives dead, leaving thousands and thousands widows, as well as orphans. By July 4th 1994, the Armed forces of RPF declared a massive and a decisive winning battle over the oppressive government at the time, after conquering the whole country of Rwanda and its capital city, Kigali. This remarkable win overthrew the power of the (then) oppressive government and marked the end of the 1994 genocide against Tutsi people. This meant that the oppressive government was no longer in charge, but rather the new Rwandan Patriotic Front was. On this day, the RPF started a long process of restoring peace in the whole country and ensuring that no one was no longer getting killed for who they were or where they came from. On this day, the RPF liberated our country, our people, and our sense of self as Rwandans. In my opinion, this is why we celebrate Liberation Day each year on July 4. New Face of Downtown Kigali Today; the capital city of Rwanda. Kigali has been praised for to be one of the most beautiful cities in Africa. On this day, it is very important to learn from our past while building a strong, prosperous and peaceful Rwanda; recognizing that Freedom is indeed earned and fought for, and not handed out for free. We have to recognize that still today there are some negative forces that want to undermine this freedom that many of our fellow countrymen and women fought for. These forces must be neutralized for the benefits and the overall greater good of our society to ensure the prosperity of our beautiful nation, Rwanda. We need to continue strive for peace and security for our nation, promoting inclusiveness for all Rwandans home and abroad, recognizing that we should be unified by all the common things we share as Rwandans, and ignore all the small differences among ourselves. As our ancestors would say: “Icyo dupfana kiruta icyo dupfa”. On this day, I encourage you to reflect on what this day means to you and what you can do to make a more peaceful and sustainable Rwanda, that is truly, liberated. Thank our heroes who served our country and sacrificed their lives so that we can enjoy a beautiful Rwanda that we have today. Without their hard-work and sacrifice, Rwanda would totally be a different place today. It is very hard to imagine what Rwanda would be like today if it was not for their courage and patriotism. There are many soldiers, fellow Rwandans, who lost their lives in battle; who got severely injured physically and emotionally, and have had to endure lots of after-war trauma so that me and you live and enjoy the peaceful Rwanda that we have today. THANK YOU, heroes. As we celebrate this liberation day, let us not forget that the struggle is still ON. We still have to fight against any form of genocide ideology that still presents itself even today: divisionism, segregation, and any form of discrimination. Let us send a clear message to those who still want to instill hate among Rwandans that we are a unified Rwanda. Let us tell them that we will never look back and waste our time on those who are stuck in anger, revenge and hate. -Let us be a truly unified society by moving beyond our ethnic backgrounds and appreciate the fact that we are Rwandans. We share an amazing a set of cultural values, traditions, an amazing language, and a wonderful and a beautiful country: The country of a thousand hills, Rwanda. The Kigali Convention Center, this marvelous piece of Architecture will host the African Union summit starting next week: July 10-18, 2016. The most popular roundabout in Kigali, and probably Rwanda. -Let us continue to liberate ourselves by fighting against poverty. -Let us continue to liberate ourselves by working hard to ensure a sustainable economic growth, which will lead us to the economic prosperity of our nation. -Let us notice that the struggle continues. Although we have achieved a lot, we also still have a long way to go. We are not where we want to be and we will never stop until we reach the promise land. We will NOT settle for less. Let us CARRY ON. -Let us continue to build on the foundation laid down by our current leaders. -Let us notice that any form of separation is detrimental and damaging to our nation’s prosperity. -Let us notice that we are stronger when unified and together we can win and prosper. -Let us use our knowledge and skills to transform Rwanda into a self-reliant, middle income country. Perhaps most importantly, on this Liberation Day, let us all notice the best people we can truly rely and depend on, is OURSELVES. We cannot rely on anybody to solve our problems and challenges we face today or tomorrow, we can only DEPEND on ourselves. We are the ANSWER to our QUESTIONS and the solutions to our own problems. After all, “Ak’imuhana kaza imvura ihise”. Once again, Let us win and prosper together. Every year from April 7th to April 13th, Rwandans take one week to remember the 1994-genocide against Tutsi, Remembrance Week, as officially called. This week is one of the most difficult times for many Rwandans, in Rwanda, and elsewhere in the world. This year of 2016, for the 22nd times, we remember over one million lives killed within a period of 100 days, starting from April 7th to July 4th 1994; Rwandans, killing other fellow Rwandans, brothers killing their own sisters, who shared the same culture and country. This week is a very tough week for everybody; especially for the younger generation, who were not old enough to understand the dynamics and the complexity of what was going on at the time, and still have had to experience and endure the consequences and the aftermath of one of the most horrific atrocities of the 20th century. During this week, Rwandans hold a series of events, remembering innocent lives lost, comforting the survivors, educating the youth about what happened, while learning from this horrific past to plan and to build a better future Rwanda for every Rwandan; all of this happening to ensure that what happened in 1994, never happen again in Rwanda. Never again. It is that time of the year when we remember about 1,000,000 innocent souls murdered during a period of 100 days: Our mothers, our fathers, our grandparents, and children. Innocent people killed, murdered for how they were born, where they were born, and what ethnic groups they belonged to. Unfortunately, it is very difficult to understand what was going on through the minds of the perpetrators. Rwandans, killing other Rwandans, their fellow countrymen who shared the same culture at all levels of life. Whether be speaking the same language, eating the same food, and living the same lifestyle at all levels. Friends, killing their own friends; neighbors killing each other; families killing each other. It is that time of the year when I seat down trying to find answers, but unfortunately, I end up with many questions than answers. Always multiple questions wondering through my mind. How did this happen in my nation? Why did it happen in my motherland? The country I Love, the country I am proud to have born in, Rwanda. Despite all the history I have learned in schools, books I have read about it, the stories I have heard from my friends, and the people I know, I always end up with many questions than answers. Again, I cannot figure out why and how this happened in my home nation, Rwanda. A million lives in 100 days ; that makes it 10 thousands a day, which makes 417 death every hour of the day, 24/7, for a 100-consecutive days. One in seven people killed in the whole country. By July 4th, about 80% of the Tutsi population had already been eliminated, that makes four in five. How does this happen in a relatively small developing country of about 10, 017 square miles? With the majority of ammunitions being machetes, clubs, small arms, and others; again, more questions than answers. 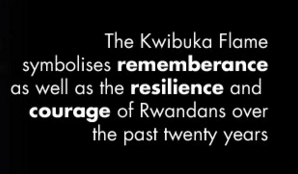 We remember to honor the lives of our fellow Rwandans whose lives were cut short for nothing. We remember to comfort those who survived, ensuring them that their loved will never be forgotten. We remember to teach the world what happened in Rwanda so that it never happens again anywhere else. We remember to learn from our horrific past while setting a path for a better future for every Rwandan. 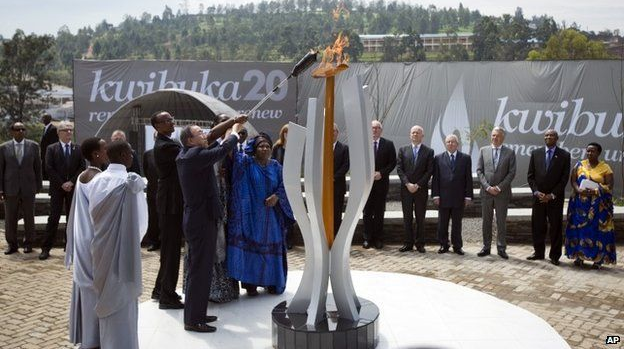 Kwibuka Flame: This flame is lit on by the president of Rwanda on the beginning of the remembrance week for a period of 100 days, marking how long genocide lasted from April, 7th to July 4th, 1994. This flame stays on at the Kigali Memorial Center 24/7 and other regional memorial centers. Walk to Remember: This is another common practice during the remembrance week. 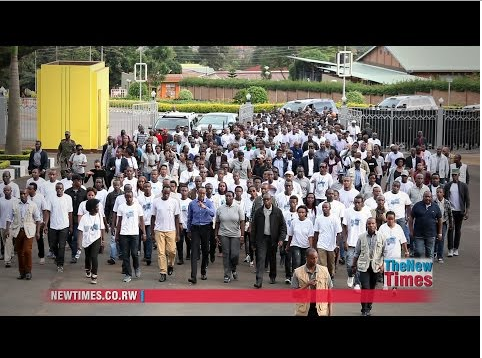 Basically, it is a silent walk from 2-3 or 3-5 miles, whereby people walk with posters carrying the message of unity, peace, reconciliation, sustainable development, and a better future Rwanda. National dialogues and discussion about fighting against genocide ideology at all level of government institutions such as schools, universities, districts, and provinces. The above events go on throughout the year, but in these 100-days, they are intensified. Kigali Memorial Center: The Kigali Genocide Memorial Center is the national memorial center. In this museum, about 259, 000 bodies are buried here . It has archives of Rwandan history regarding genocide, from how it was prepared, and how it was executing by the regimental government, that was on power at the time. 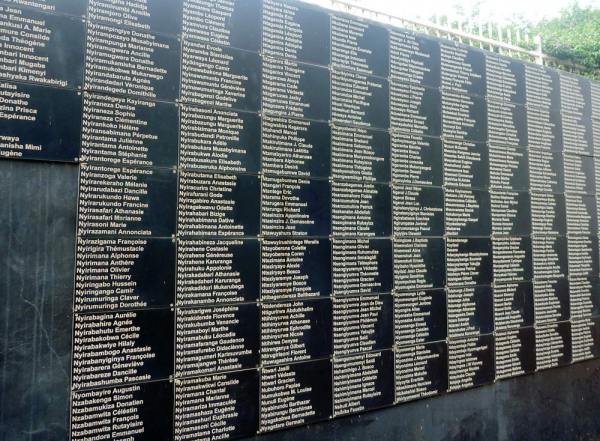 This memorial has pictures, names of the victims and many more information you would need to know about the 1994 genocide against Tutsi. 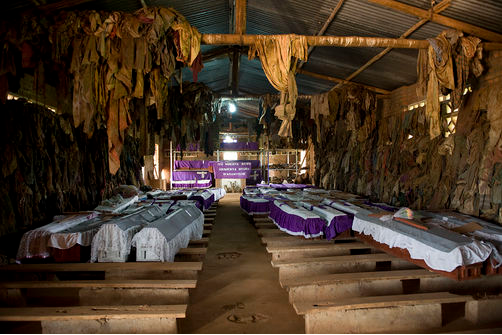 Ntarama Church Memorial Center: This is a regional memorial center, known for the massacre, happened at this church. People had come to find refuge at this Catholic Church, thinking that no one would kill them in the “House of God”. You have to understand to logic behind this because Rwandans were and are still a very religious and Christian dominated country. However, when they were gathered, the Interahamwes, the government supported militias group came in, bombed the doors by grenades, killing everybody who was in that church with mostly machetes, clubs, and guns; very few people survived this massacre. About 5, 000 people were killed in cold-blood at this church. After genocide ended, this church became a memorial center. The picture below shows how bad the atrocities was. The viewer discretion is advised if you click on this reference to see more pictures of the remains at this church. You can see old clothes and shoes, which the victims were wearing, the bracelets, and other marks. Their remains were also cleaned and are rested inside the church. May these innocent souls rest in peace. 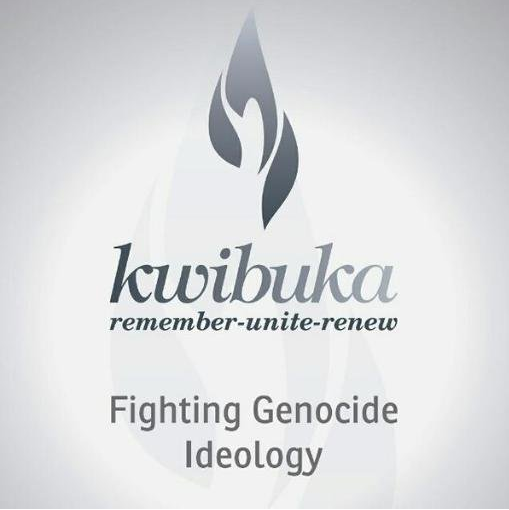 Kwibuka22, poster showing remembering genocide! Twenty-two years after genocide, Rwanda has made tremendous and significant strides in creating a united society, of Rwandans, who are proud to be Rwandans, above their ethnic groups. Today, Rwanda is a very safe country. At all levels of government leadership, whether, on political, diplomatic, and financial basis, Rwanda has shown that there is nothing a united society cannot achieve if they join forces together. Rwanda is one of few countries, where 9 out of 10 trust in the leadership of their country; Corruption is also very low comparatively. The only country to have more women representatives in the parliament. Today, 63% of members of parliament are women. Although Rwanda has made amazing progress, we still have a long way to go. We are not where we want to be yet. However, given what Rwandans have done in the past 22 years, I have no doubt that we will continue to do well, using the foundation we have set up to build a much stronger, and more inclusive economy, and most importantly a more unified country. A country of a thousand hills, in which, anytime God decides to sleep, he comes to rest in Rwanda, for its beauty. Our ancestors actually believed this and up until today, this saying is still widely used. “God might travel around other countries during the day, but when it comes to bed-time, he comes to rest, home to Rwanda. My next blog is going to focus on what Rwanda is today describing and elaborating more on the progress we have made. As Rwandans, we have decided to not be defined by our past. We will learn it to build a strong nation, remembering, uniting, and renewing ourselves to build a better Rwanda together. By now, I hope you have learned something new whether you already knew a lot about Rwanda or you did not. If you have not visited, I hope I have or will convince you include Rwanda on your vacation lists too. It is truly an amazing country, wonderful people, and your vacation there would be a blast. Time flies for real!! Where did all the two and half years go? I remember moving to Boulder, CO from Chicago, IL where I had been working all summer of 2013 as an intern at Fermilab. When I moved here, I was excited to move to this beautiful place. In April 2013, I had come to Denver for a National Physics Conference. Since I had had a wonderful time in Denver, I assumed that Boulder was going to be absolutely amazing since it was only around 35-45 minutes away. Therefore, when I finally moved to Boulder in August 2013, I felt in love with the place so quickly. Having mountains around me made it feel at home because my home country, Rwanda, is a very mountainous country, known as, a country of thousand hills. Thus far, I have been very lucky and fortunate at CU Boulder, and I really could not have chosen a better school. Like anybody else, deciding a graduate school to attend can be very challenging especially when you have a lot of choices, but I am very glad to have chosen to come to CU Boulder. Honestly, saying that I have been lucky, is a huge understatement! I am simply very grateful. Graduate school is very different undergraduate on so many levels: whether you look at the coursework, research, and the responsibility you have a graduate student. This is especially true when you rely on teaching (TA), and research (RA) assistantships to afford school fees and getting your living expenses. My first year was the most challenging because as a new graduate student, you are trying to figure out how things work, and they make you work like crazy. You have loads of coursework, you are a teaching assistant for an undergraduate course, and you have to start learning about your research at the same time. For me, I thought it was going to be even challenging since I was switching from Physics (in Undergraduate) to Mechanical Engineering (in Graduate school). However, overall, it was a much smoother transition than I had anticipated. Of course, I am not saying that it was easy, but engineering courses are actually a little easier than some of the Physics courses I took in college. As my undergraduate advisor would say it: If you can pass Quantum Mechanics and Electrodynamics, I do not think Heat Transfer or Thermodynamics would be much harder. Surprisingly, he was totally right! One of the things I like about having a physics degree is that everybody thinks you are smart and you can adapt to any coursework you take. To some extent, this is true. Whenever people think of me as smart, it boosts my confidence, and I feel like I can learn any tough subjects as long as I put my mind to it. I was a little surprised with how many former physics undergraduate majors we had in our graduate program in the department of mechanical engineering. During my first year, I was on a TA, and my second year, I had both a TA and RA position. For the past 4-semesters, I got to TA a Dynamics course for 3-semesters, and 1-semester for Data Analysis. As a teaching assistant (TA), you hold weekly office hours to help students on their homework, you grade homework, tests, exams, and when the professor is out of town for a conference, they can ask you to sub-in for them. During your TAship, you get to interact with students. Overall, it was very fun, and rewarding, but it was also time-consuming, especially on top of your other responsibility of your own school work and research. As a research assistant (RA), you choose an advisor, who usually has different projects, and you get assigned a specific task on the project. When you are on a RA, hopefully, your advisor has funding for that project so that he can pay you for your work. I am not sure how tuition works, but you don’t pay anything when you have a research assistantship. This is true both for American and international students. Instead, you also get monthly stipend, to cover your living expenses. It is not too much money, but it is enough to cover all you need for rent, and other expenses, but you really have to be on a tight student budget. So far, I cannot really complain about anything. I have passed all the qualifying exams we had to take, both written and oral research exams. I have co-authored one published paper, and I am writing my first one as a primary author. And perhaps most importantly, I just got a masters in Mechanical Engineering with focus on Energy and Environment. This kind of big deal for me! This means that I have a Bachelors of Arts in Physics (with focus on Renewable Energy), and a Master’s of Science in Mechanical Engineering (with focus on Energy and Environment). You know, I actually don’t care that much about degrees. I mean, I think I have more skills than what the labels my degrees claim to have. After all, there are many people with few or no degrees who have done tremendous work and have become very successful in their lives. I hope I get to make a positive impact on the society myself someday. As far as education goes, I tend to go my own route whenever it comes to learning. I do spend lots of time (perhaps more than I should) learning about subjects beyond what they teach in class. Although it can be very costly on your grades, I find it to be the best way to educate yourself. Whenever I come across a new technology or a subject I am interested in, I can spend weeks reading and learning about it and almost forgetting that there are some exams, and tests in my own classes. In all, I do not regret any of it, instead, I am actually proud of it, big time! At CU-Boulder, I was really lucky to work on a project that allowed me to travel outside the United States for 3-4 times every year. I have a great advisor, I work with a great group of talented people, I really like what I do, and I go to school to one of the finest university in the World. My research work involves using low-cost air quality monitors to study environment problems in developing countries. For the past 2.5 years, I have been working on an NSF and EPA funded project looking at the impact of solid-fuel use for cooking and other combustion sources on health and environment in Northern-Ghana. Thus, my work consists of lots lab-work, collection of data in Ghana, and of course data analysis: I will let you know when my paper is out sometime in 2016. Research is a big part of one’s work in graduate school, so it is very nice to be able to change the scenery from lab-work, field-work, and traveling abroad to conferences. It really does help you to balance your life and to not get bored of doing same stuff every day. I highly recommend this, if possible. Conferences are also a good way to network, get connected with researchers in your field of study. I have attended many of them such as GEIA, and Clean Cooking Forum, as well as many other seminars and talks. Hanging out with some crocodiles in Northern Ghana: They are actually Friendly that you can pet them. Balancing grad school work and social life can be very tough, but it is extremely important. Honestly, I have to admit that this is one of the areas I usually do okay because I do procrastinate quite a bit. Probably I do it much more than I should but it is really nice. Life in grad school can be very busy and challenging, especially because there is always something to do and due every time. There are times I get very busy that I can spend a good week going from home, lab, offices, gym, back home at night, and wake up to the same routine every day for like 5-7 straight days in a row. Thus, it is very helpful to loosen up over the weekend and do something fun to relax. Being in Boulder and Colorado, you really have no excuse, you can do some hiking, climbing mountains, clubbing, skiing, camping, and all sorts of stuff. In addition, I have been able to participate with other organizations on campus that I care about. For example, I have been working with Engineers without Borders, EWB-Rwanda, helping CU students design a clean water catchment system in Northern –Rwanda. I also do a lot of documents translation from English to Kinyarwanda, and overall helping them understand the Rwandan culture a little bit. I am also a member of the African Students Africa, ASA, where I helped organized big events such as Tour of Africa, where we show the true image of Africa and all the elements surrounding its rich culture through arts, fashion show, dance, and music. I have met many good people with these organizations and it has helped me to be a good productive member of the CU-community, beyond just being an academic student. Rwanda Day in ATL 2014, REMA Meeting in Rwanda, summer 2015, and Accra-stove factory in November 2015. At CU-Boulder, I have also been able to attend and meet other experts in other fields. This is probably one of the most thing I am so thankful at CU. One of my favorite thing I like to mention is meeting up with Nobel Laureates at school and being able to attend their talks. This is a very big deal for me, because when I was at a Science High School in Rwanda, I really wished/wanted to meet a Nobel Prize Physicist someday in my life. However, being in Rwanda at the time, I would never have thought that I would be able to see them passing by me and attend their talks in person. Thus far, I have met three of them. I have attended talks from David Gross, Leon Lederman, at Fermilab, and Eric Cornell at CU-Boulder. This has taught me to always DREAM BIG, and to never underestimate myself. If you are going to dream, you might as well dream BIG. The Rwandan and American taxpayers, and the whole society at large, to have contributed financially towards my education, directly and indirectly. I owe them, big time! And I hope that I will gradually pay them off by making a positive contribution to the whole community, wherever I will be working. Over the next few months, I am going to take some time-off for myself to grow professionally, and to digest all the skills and knowledge I have acquired for the past 15-20 years of education. I am going to come up with plans of what exactly I want to do, set specific goals of what I want to achieve, and how I want to get there. Most importantly, I will take some time for relaxation as well. It will be a much needed fun and enjoyable break-time: I will keep writing a blog to document my experiences and I hope you will enjoy it as much as I will be. ***Writing is going to be tough when I am hanging out at the resort beach at some nice island in Indian Ocean though, so just be patient, hahah! Have you ever thought about how your cooking practices affect your health? Well, if you are lucky to be using gas or electricity for cooking, you are very fortunate and you should be thankful to be among 60% of the people who have access to clean energy for cooking around the world. For this, Congratulations! You have won the lottery of birth either from the country you were born or your income is good enough to afford a cleaner source of fuel. However, did you know that the other 40% of the world’s population rely on very unclean source of energy for cooking mainly solid fuels such as firewood, charcoal, dung and others? This is nearly about 3-billion located in developing nations in Eastern Asia, Sub-Saharan Africa, and Latin-America. This use of unclean fuel and stoves emit huge amount of smoke during cooking, which causes adverse health risks to people who are exposed at home. The most up-to date estimates from the 2014 WHO (the World Health Organization) report, show that about 4.3-million deaths a year worldwide, are attributed to exposure to cookstove smoke . Lots of these deaths comes from various respiratory and cardiovascular diseases such as pneumonia, lung cancer, heart disease, COPD, and stroke among others . This is a big problem in developing countries. In fact, the same WHO report estimates that it goes hand in hand with the effects of tobacco globally. Tobacco causes a little over 6-million deaths a year, which means that the household air pollution effects comes second after tobacco . As a matter of facts, an hour of cooking on a traditional wood cooking fire indoor produces smoke of about 400-cigarettes . This is even more depressing when you think about it because in these developing countries, mothers and children are affected more than men as they are the ones, mainly involved in cooking activities. Can you imagine a baby of a few months old breathing this amount of smoke on back of her mother as often as 2 or 3-times a day? This may sound like fiction especially if you have never been to a developing country, but it is real. I see it more often when I visit back home in Rwanda or when I am on a field trip in Ghana. This picture is showing an example of a traditional stove, “Three-stone fire stove” used in many developing countries. How can we address this issue as a community and what can we done about it? As you can imagine, the international community is looking for multiple ways to address this concern worldwide. The recent Clean Cooking Conference brought together around 500-people from 57-countries around the world both from the private and the public sector. Different organizations such as the United Nations, the World Health Organization, and the Global Alliance for Clean Cookstoves, and their partners are already joining forces with researchers, NGOs, and the local community to find creative ways to facilitate the adoption, the affordability, and the access of clean fuels and clean cookstoves in developing nations. A few weeks ago, as a mechanical and an environmental engineer working in field, I was fortunate enough to attend a big 5 day-conference organized by the Global Alliance for Clean Cookstoves in Accra-Ghana. This conference aimed at bringing the private and the public sector together in order to share ideas and opinions about promoting the use of Clean Fuels and Clean Cookstoves around the world. It was a wonderful time for researchers to exchange their ideas and techniques, for NGOs meeting local communities, for investors looking for business opportunities, and governments to evaluate their policies looking for partnerships from the all participants. One of the most difficult tasks in helping people to cook cleaner is convincing them to switch from traditional stoves to improved stoves. Basically, this is when organizations, who think that they know what people want, come in and distribute the stoves mostly for free in the incubation phase, but surprisingly, researchers have been astonished by the fact that local people do not switch to improved stoves as fast as they had anticipated. The adoption issue is well-understood and cared about than it used to be in the past, but there is still a long way to go in terms of figuring out how you get people to adopt good clean and efficient cookstoves. The locals have been using these traditional stoves for a really long time, their parents, ancestors used them. The entire generation has been using them for a really long time, local food and cuisine cooked on these stoves have an easily identifiable test that they like and enjoy. Although these stoves can get very smoky, somehow, they have been used to that in some respect. The easiest way to think about this problem is, comparing it to somebody who smokes. Although many smokers know that cigarette smoke harm their lives, it is been shown that it is tough to quit smoking. Simply, expecting them to quit overnight, you would have to be a fool. This is the same with cookstoves, expect that in this case, lots of cooks do not know that the smoke they are inhaling is dangerous to them, and their kids, and the whole family in the household. The second most issue related to adoption is the mismatch between stove manufacturers and the local users. A lot of these manufacturers are from western countries, Envirofit, BURN, Biolite, are some of big names known this field, so when a stove is made in the United States, engineers who design them might not necessarily be familiar with local needs and the technology, which will match what the locals want. It would be like me trying to design various ski-tools when I have not skied in my life. I could try, but my designs would probably be better if I were collaborating with professional skiers to get an idea about what they want. For example, it has been shown that a lot of these stove made in western countries tend to be smaller compared to big pots and dishes that locals in Sub-saharan African needs. However, in the recent years, these big stove manufacturers have decided to move their factories to East-Africa and elsewhere to incorporate their stove designs with locals needs and accommodation. This is a big step and needs to be encouraged to other stove manufacturers. Another big unfortunate situation is that these new improved stoves are quite expensive compared to the income of the locals. According to United Nations, about 2.8 billion worldwide people survive on less than $ 2.00 a day. This is almost the same number of people who depend on solid fuels use for cooking and lighting. What does this tell us? This means that a big number of people who needs these new stoves cannot afford them. They are too expensive. The “good” stoves available range from $ 50.00 to $ 300.00 per stove. Even after subsidies from grants and various NGOs, the cost for these stoves is simply not affordable for locals to afford them on a “sustainable basis”. You cannot simply make a clean and efficient stoves for $ 10- $30 dollars, which would be the price range that would be at least affordable to many people in the Global South. So, affordability is still an issue, a very big one too. Quite frankly, after spending a good 2.5 years studying, learning, and working in this field, I have come to a decisive conclusion that a good way to accelerate the use of improved stoves is simply helping and getting people out poverty first. Because, otherwise, how do you expect people to afford a $ 300.00 stove when they live under $ 2.00 a day? It is just not feasible and in my opinion, we should focus on affordability in the long-term, which will provide the sustainable use rather than simply giving out stoves for free once and lying to yourself that you have reduced the problem. What will the locals do after 1-2 years, when the stove you gave out is worn out and needs to be replaced? Affordability is the key and we should be focusing on this as much as we do for adoption, and innovation. Everybody knows what good clean energy sources for cooking are. They are natural gas (LPG) and electricity. This are the main sources of energy that people in western countries use. You may ask yourself why are we talking about “improved stoves” when we know exactly the best sources of energy such as gas and electricity? Well, the short answer is that we know about this, but these resources are even scarcer in developing countries. After all, two out three people in Sub-Saharan Africa lack access to electricity, for example. Thus, while natural gas and electricity are the “holy grail” of the energy sector, we are still lagging behind in relation to having enough energy available for cooking in developing countries. If you don’t have even enough electricity for lighting, having abundant access for cooking would even be a dream. This is why improved stoves are seen as the transition before we have enough gas and electricity. Unfortunately, they have not been a good transition thus far, and some people wants to switch the efforts to gas and electricity instead of wasting time, effort and money in the so-called improved cookstoves. Overall, it has been a real joy to work in this field and I have learned a lot since starting my research about 2.5 years ago. Thus, I am looking forward to how the cookstove sector will evolve in the years to come. As an entrepreneur, I am also looking for ways to invest in this sector, and I will be looking into venturing in the use of LPG in developing countries. My partners and I will be kicking off a wonderful project to supply gas tanks for cooking in Uganda and Rwanda in 2016. So, be on the lookout for some cool stuff!! We have noticed that there a huge market hungry for better cooking products in the Eastern-Africa region and we think that natural gas is good way to start. I will continue to write about other issues related to cooking in developing countries. My next segment will be about the use of charcoal and deforestation and their relationship with cooking in the developing world. Feel free to check out the references below for more information and please message me for any questions or comments. These cheap, clean stoves were supposed to save millions of lives. What happened?. Tackling the world’s forgotten Killer. Household Air Pollution and Health around the World, WHO Facts. Global Alliance for Clean Cookstoves. People who live under $ 2.00 dollars a day. Two of 3 people in Sub-Saharan African lack electricity, USAID. Why You should care about the Climate COP21 Talks in Paris-France? Yesterday, I was talking to a friend of mine in the hallway at lunch time. A professor from the Environmental Engineering passed by and we quickly started chatting. As she was leaving to hurry to her destination, she mentioned we should hang out sometime and she said oh, the Paris Talks too are starting today, and we, the experts in this field should be talking about this. Where and what are all the wonderful professors, graduate students, undergraduate students doing in the wake of these series of Climate talks? As experts, how do we not take advantage of this opportunity to inform the public about Climate Change and all its related issues? Why are we not talking about this among ourselves though seminars, conferences, and other venues? How do we expect the public to know the technicality and the complexity of these issues if we do not inform them? In the end, when the current business and Law schools students are leaders in the private sector and the public sector, we will call them ignorant for ignoring and denying global warming and climate change. As always, the scientific community has been very mediocre at communicating with the public about what they do, interpreting their results in ways that people who are not scientists can grasp and understand. For example, one of the most used simple, but false explanations politicians have given when asked about global warming, they say, how is it that we still have cold winters if the planet is getting warmer? You see, for a simple questions like this, even a third grader science class student would know that it is totally wrong to compare single seasons in one setting. You have to analyze through climate weather patterns over time. Winters, and summers will still exist but when you look at average temperatures over an extended period of time, you notice that in fact, temperature levels are rising. Another more-sophisticated answer would be to look at the ambient CO2 levels over time and observe how the ambient concentrations have been rising from the early 1900s to present: The beginning and the boom of the fossil fuel industry. If you look at the graph below, showing a time series of CO2 ambient levels and the increase in global temperatures from early 1900s to Present. The graph shows that, for example in early 1900s, the ambient CO2 levels were around 295-ppm, but today, those levels have come risen up to 400-ppm. The same graph shows very well that there is a direct correlation between CO2-levels and the rise in global temperatures. Or you can see that when the ambient concentration were 320-ppm in 1960s, there was a net of zero increase of temperatures globally. However, since then, as the CO2-levels went up, the rise in temperatures has been going up to 0.6C as of today. However, if our reliance on fossil fuels keep rising, and stay numb about it, the rise in temperatures will keep up, and once we reach 2C increase, that is when we get in trouble according to the prediction made by climate scientists all over the World. Thus, part of the 2C-increase in global temperatures you have been reading about all over the media in the wake of COP21 Talks in Paris, France. This number comes from this basic understanding from all the leading climate experts all over the world. I understand that students and professors might be busy during this time of the semester, but to me, as an air quality student, not talking about this COP21 or not informing and sharing with the public, would be like an astronaut student who seem to not care that NASA is planning to go Mars by 2030 or a soccer athlete student, who is not watching the final world-cup game when he has been offered tickets to go to the game or simply watch the game. It would be like a water expert from a municipality, who seems no to care when a certain toxic chemical has been found in the city’s water supply system. Or a firefighter, who is not worried that their city is on fire. It just does not add up. I guess we, undergraduate and graduate students, are worried more about our finals, and research. Our Professors are also busy (as they are always are) with preparing courses, final exams, research and other bureaucratic tasks that they have to deal with and manage. Are we really that busy to not even have an opportunity to discuss about this at least among the members of our university? Despite the fact that 97% of climate scientists agree on the fact that climate change is indeed occurring, one in five Americans still deny in the effects of climate change . This is very concerning and should alert scientists about communicating their work and results better. Have you ever notice how irritated we get when a politician makes such stupid and ignorant comments about climate change? For example, three of the GOP candidates have made comments about how they simply do not care about Climate change: Marco Rubio, claiming that “he is not a scientist” . Thus, denying Climate Change as he wants. Jeb Bush, saying that “Scientists are going to take a back seat when he gets elected” . Basically, indicating that he does not care about what scientists say. And finally, Ben Carson saying that Climate Change is simply “irrelevant” . Comments like these should be very worrisome especially when you imagine that these three guys are running for President of the United States, one of the highest CO2-emitters country in the World. As scientists, it is our duty and responsibility to communicate with the public about our work and what talks like COP21 mean to the members of the general public. We should be talking to our colleagues at law schools, business schools, and other schools about this. I do not mean to ignore to other departments, but given the fact that most of the current law students will become our next politicians, business students become the next CEOs in the private sector, and these two groups have shown to be among the ones which huge skepticism about climate change, and the positions they tend to hold in the private and public sector can affect many members of our society to a greater extent than others. With that in mind, all students are the leaders for tomorrow and should be informed about issues like this. If they are not, the society will bear the consequences in the future in one way or another. As the Climate talks continue, I urge you to talk to your friends at school, at work about what is going in the next two weeks from November 30 to December 11th 2015. Educating yourself about COP21 is not only good for you, but also for the society as a whole. Talk about it at coffee breaks, lunch or dinner or wherever. If you need more details about the Climate Talks in Paris, visit this page to learn more at http://www.cop21.gouv.fr/en . Remember we are in this together and we only have one planet: Planet Earth. The more and the faster we ruin it, the more and the faster we screw ourselves as well. Also, remember that, it is okay to not-be a scientist or a climate scientist for that matter. In fact, I am not claiming to be one either. After all, we each depend on each other. For example, I am not tax professional. So, every year, I need a tax accountant to help me with my tax returns. Just like other subjects, the most important thing is to ask those who know or who are experts in this field and to try to educate yourself on the subject. Good luck and keep in mind that #WeHaveOnlyOnePlanet and #WeAreInItTogether. http://www.skepticalscience.com/The-CO2-Temperature-correlation-over-the-20th-Century.html: CO2 levels and temperature correlation over the 20th century. http://www.randalolson.com/2014/09/13/who-are-the-climate-change-deniers/: Who are the Climate deniers? http://www.slate.com/blogs/bad_astronomy/2015/10/01/gop_candidates_and_climate_change_denying_reality_in_every_way.html: GOP Candidates and Climate change denying. http://www.cop21.gouv.fr/en: The Official website of the COP21. Posted byDidier Champion December 2, 2015 December 30, 2015 Posted inEnergy and Environment2 Comments on Why You should care about the Climate COP21 Talks in Paris-France?